According to both noted developer Steve Troughton-Smith and Guilherme Rambo of 9to5Mac, both of whom are known for spelunking through iOS and macOS betas for all kinds of goodies, iTunes is about to get busted up. Considering the mass market success of the iPod went hand-in-hand with the arrival of iTunes, this is pretty big news. Mr Rambo also backs up the same information and elaborates further in an article at 9to5Mac. While agreeing that separate apps for Music, Podcasts and likely Book are coming to join the already announced TV app, iTunes still isn’t going away immediately. Evidently Apple is still working on how to sync iOS devices directly to Macs without iTunes. 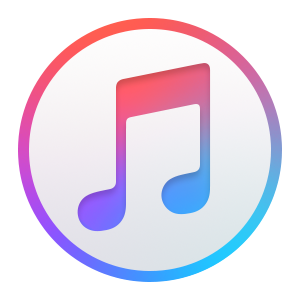 Until that new solution is ready, expect zombie iTunes to continue floating around. Another loose end is Windows. Nothing is mentioned here about what Apple intends to do to phase out iTunes for what is still its largest base of users. As a Windows users myself, I can count on one hand the number of times I’ve booted the program in the last 5 years. However, for someone who has several GBs loaded on a device, it certainly is easier to backup and restore from a hard drive than an Internet connection. Considering that that Apple hasn’t made stand-alone versions of other apps for Windows before, I don’t expect them to start now. It is likely that we will be waiting until Apple figures out a direct syncing method for macOS, which will then be ported over as a local backup and sync tool only. In the meantime, web-based tools for Apple media consumption are slowly starting to materialize. First off, while Apple doesn’t officially have a web-based Apple Music solution, they have made a web interface available for use by developers. If you are a subscriber, then you can access your Apple Music account via the web using Musish. While you have to log in using your Apple account, don’t worry. This app passes all requests to Apple securely, so your account password isn’t being compromised. It looks and feels remarkably similar to Apple Music, so if you ever need it, it is a viable option. However, I look for Apple to bring out an official web client at some point. Apple is also testing out a new Podcasts interface for the web. This is an improvement over previous iterations, as you can now play from the web and see show notes. You can preview the interface, but it isn’t really unified, searchable or generally ready for prime time yet (Here is a link to 9to5Mac’s podcast so you can take a look). These web tools may be in their infancy, but they prove that Apple is finally working on what’s next. Couple them with the new slat of apps coming soon to macOS and you have proof that there is life after iTunes, and it’s finally coming.